Discover the key characteristics that define a best-in-class data-driven business. 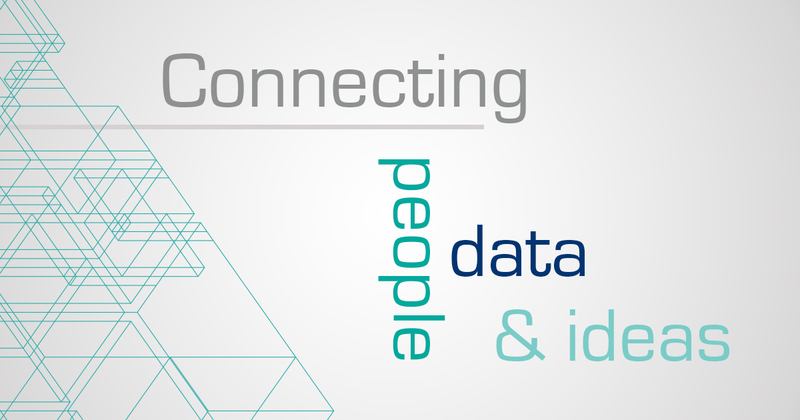 In the first part of this four part blog series we looked at how you can drive new data-driven possibilities and ultimately become an agile data-driven organization by connecting people, data and ideas. In the remaining parts we’ll break this down and look at the key characteristics that define a best-in-class, data-driven business. 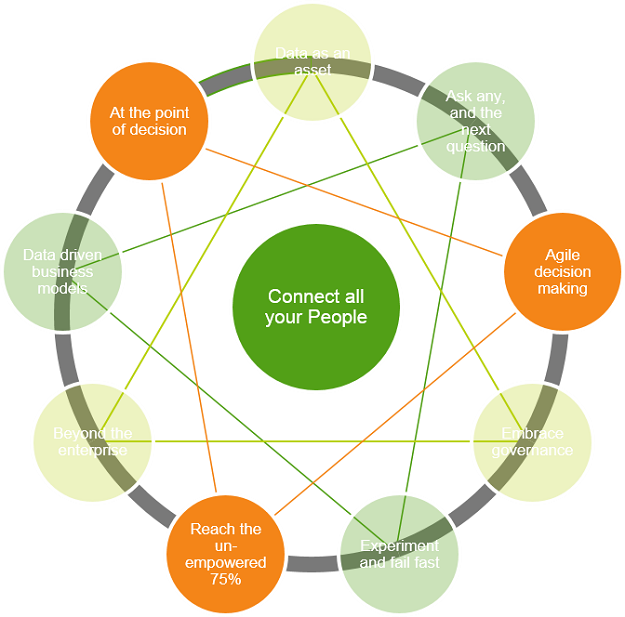 Contrary to the perceived notion, data-driven enterprises focus on people not data. They see data as an asset which drives decision making, as a source of insight. They foster storytelling and collaboration by empowering the people who make decisions with easy-to-use analytics. However the defining characteristic of data-driven organizations is how they extend analytics across the organization. Best-in-class empowerment requires analytics that address business users' needs where they are. Data-driven enterprises therefore invest to put the right analytics and right data into the hands of increasing numbers of users. This goes beyond traditional data scientists and business analysts and ultimately out to all information, knowledge and operational workers across the organization. 64% of business managers have seen the time allowed for decision making shrink in the last 12 months, with 42% citing that decisions need to be made in less 24 hours*. 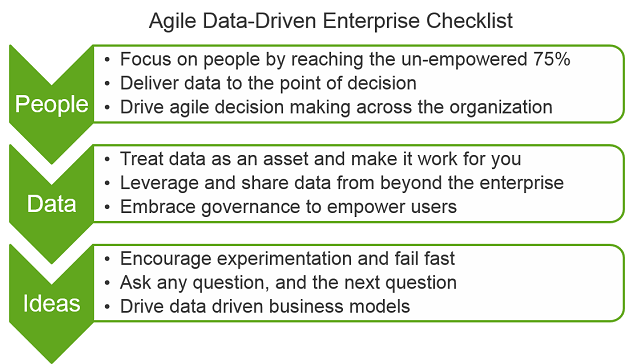 Data-driven enterprises differentiate themselves by driving agility into decision making processes, increasing responsiveness to dynamic business conditions and competitive markets. This means they don’t wait for data to back up the decision, they ensure the data is on hand in the right person’s hands and that it’s trusted. *“The Digital Universe of Opportunities: Rich Data and the Increasing Value of the Internet of Things” – April 2014. As more and more knowledge workers seek to leverage data in their day-to-day jobs, data-driven enterprises invest to put analytics at the point of their decision making. They embed analytics in enterprise applications, intranets and extranets that drive key business processes on any users’ device. In short, its capturing more fleeting business moments when people want to take decisions. This is a point-of-view backed up by our recent Forbes Insights study, where the most successful BI deployments have a distributed model for analysis. That is, among those firms self-described as having expert-level, seven out of 10 (69%) say their programs feature a significantly higher degree of distributed capabilities relative to the over­all sample. Example: One participant in our Forbes Insight study, a major insurer, found that after placing analysis solutions in the hands of business units, end users overlaid dates of claims with traditional fields to identify and isolate two agents who had been falsifying claims. In the next blog we’ll look at what it means to connect data and how best-in-class organizations treat and manage data, but also embrace governance.